Volvo’s plug-in 7900 Electric Hybrid bus will be officially launched in September, at the International IAA Commercial Vehicles show in Hanover, Germany, according to recent reports. The International IAA Commercial Vehicles show will be held from September 25th through October 2nd at the city’s exhibition center. According to Volvo — as compared against a conventional diesel bus, the plug-in 7900 Electric Hybrid bus uses up to 75% less fuel, with an accompanying drop in CO2 emissions. Overall energy consumption is reduced by somewhere around 60%. These figures were verified last year via field tests in Gothenburg, Sweden, using the buses. You can find out more about that at the Volvo Buses site. “Noise is a growing problem in many cities. The noise level near to an Electric Hybrid is 65 decibels, i.e. normal conversation level. 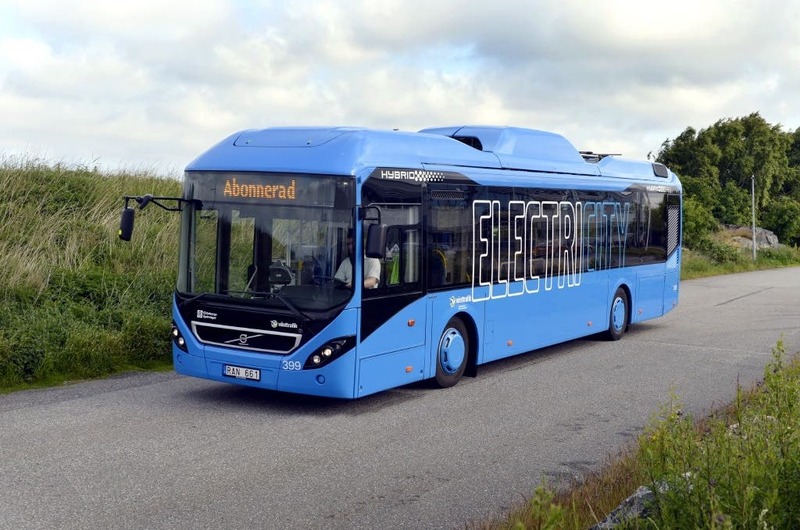 The Volvo 7900 Electric Hybrid runs in electric mode in average 70% of the route,” Green Car Congress writes. Of course, that doesn’t compare with the pure-electric BYD bus, but 70% is still a decent percentage for operation on an electric motor. As of right now, a fair number of large European cities have expressed interest in the model — most notable of which are the cities of Hamburg, Luxembourg and Stockholm, which have already signed purchase agreements. Large-scale production of the model is expected to begin sometime in early 2016 — presumably with a large roll-out of the model sometime after that in cities across the continent.